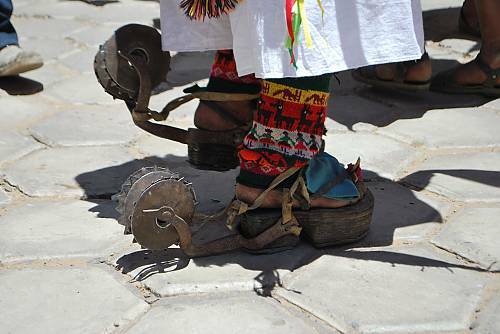 Pujllay and Ayarichi are the main musical and choreographic forms of the Yampara culture. They complement each other and form a whole: Pujllay linked to the rainy season and Ayarichi to the dry. 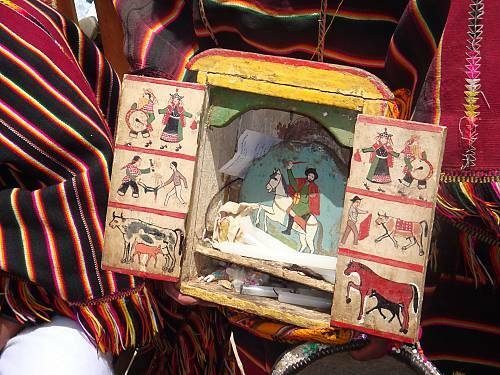 Pujllay is performed primarily by males, during the ritual of the same name celebrating the renewal of life and abundance brought on by rains. 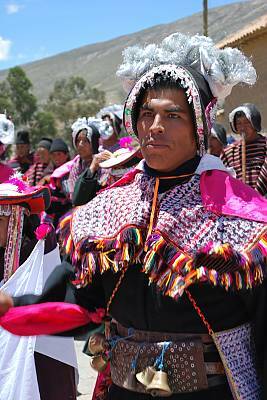 The sounds, dances and costumes evoke the ‘Tata Pujllay’, a demonic and fruitful entity with boundless energy. 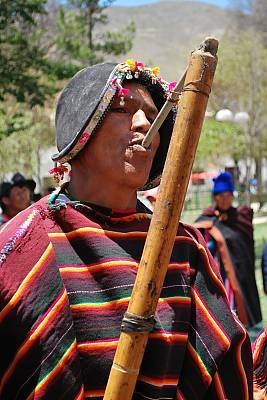 A group of musicians play flutes and a horn clarinet. 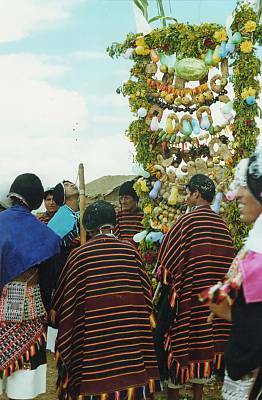 Dancers, lavishly dressed as Tata Pujllay, tirelessly circle around a large altar decorated with food. 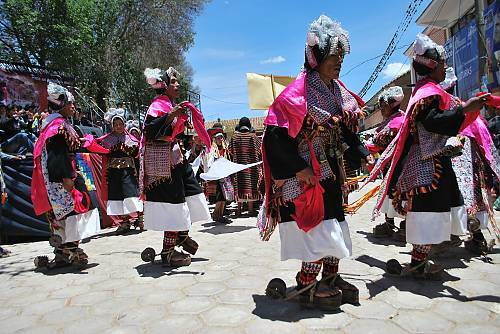 Ayarichi is danced during festivals dedicated to various Catholic saints who govern the social and cosmic order and influence the preservation of life. 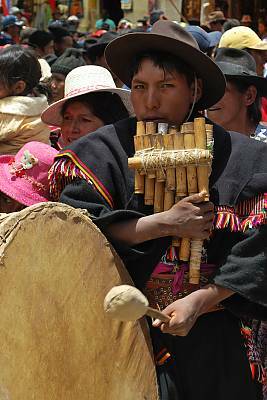 The group comprises four male dancer-musicians playing panpipes and drums, and two to four young female dancers. 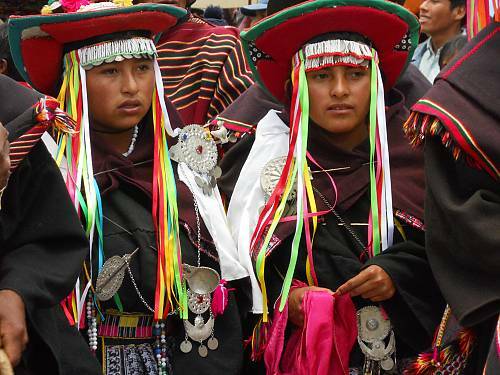 Craftswomen are responsible for weaving costumes meticulously to the smallest detail. 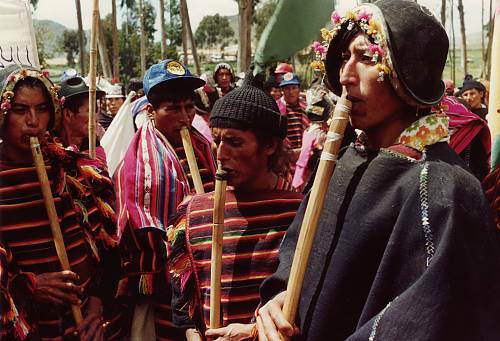 Extensive community networks are mobilized to organize the ritual and provide abundant food and drink. 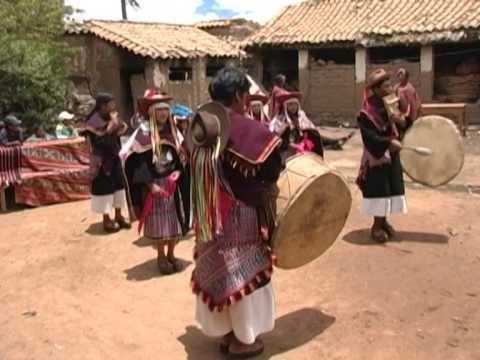 Transmission of musical and choreographic knowledge to children occurs without adult participation, often through collective games and observation. 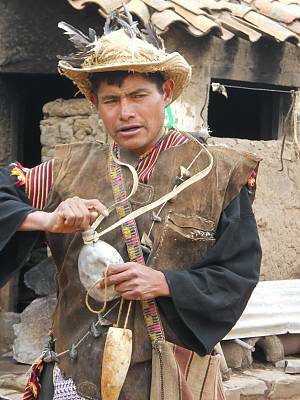 Pujllay and Ayarichi create unity among Yampara communities as a favoured way to communicate with nature.